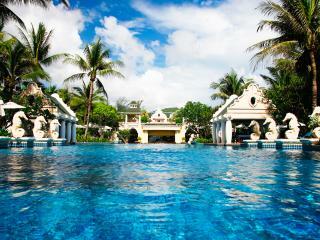 Brimming with pristine natural beauty and a tropical ambiance, Thailand is like heaven on earth. 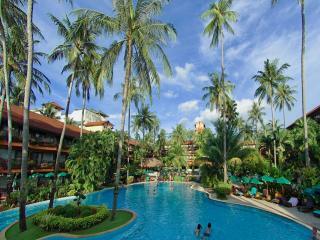 Among hundreds of fantastic Thailand hotels and resorts, you can find our top Thailand resorts here. Each bringing their own unique style and features, these amazing resorts cater to every kind of traveller. Boasting sensational rooms and amenities, these Thailand resorts deliver outstanding quality and a welcoming hospitality that will make you never want to leave. 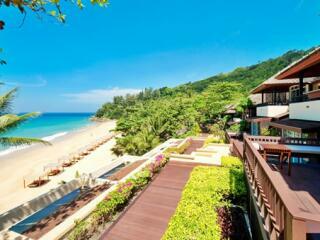 Read on to discover our 10 best Thailand resorts. 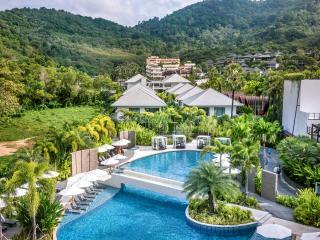 Located just a short stroll from Patong Beach, this 5 star resort features a fantastic range of onsite facilities, private beach and is surrounded by 12 acres of swaying palm trees. Enjoying prime position opposite Patong Beach, this 4 star hotel features 8 acres of tropical gardens, 3 lagoon pools and is just a short stroll from fantastic shopping, dining and nightlife precincts. 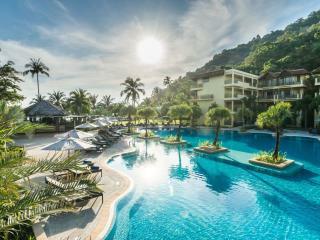 Conveniently located within walking distance of local attractions, this 4 star resort boasts an outstanding views of the Andaman Sea as well as a great range of onsite facilities including swimming pools, tennis courts, fitness centre and kids' club. Located on the beautiful Patong beachfront, this 4 star resort enjoys spacious accommodation with easy access to the local entertainment and shopping hub. 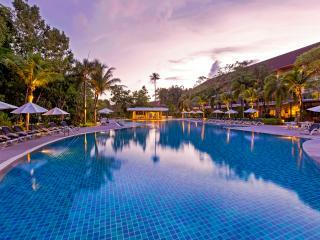 Phuket Graceland Resort also features fantastic facilities with 8 restaurants and bars onsite. Just minutes from Karon Beach, this 4 star resort enjoys picturesque grounds and is close to a range of popular attractions. Offering an onsite day spa, fitness centre, swimming pools and kids' club, the Centara Karon Resort is perfect for the whole family. 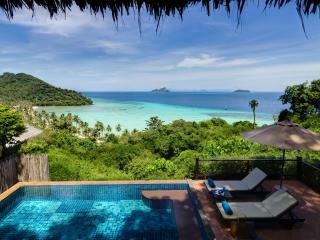 A secluded and truly romantic accommodation option, this 4.5 star resort offers private bungalows and beachfront suites. Surrounded by 70 acres of lush gardens and a pure white beach, The Phi Phi Island Village Beach Resort is an indulgent escape. Conveniently located close to Bangkok’s Skytrain, this luxury 4.5 star hotel offers unique accommodation with each guest room designed to reflect a film set. 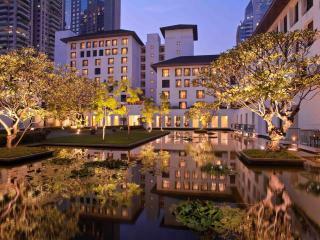 Siam@Siam also features an indulgent restaurant and rooftop bar with spectacular views over the city. Located on the north west coast of Phuket, this 4.5 star resort is situated in a stunning private cove in Nai Thorn Noi and is surrounded by coconut palms and golden sands. Located in beautiful Chaweng, this 5 star luxury resort enjoys a prime beachfront position with stylish modern guest rooms and indulgent suites. The Grand Centara Beach Resort also has 5 onsite dining options as well as its own diving centre and car rental facility. Located in the central business district of Bangkok, this huge 5 star resort is home to an excellent range of onsite facilities and features beautiful teak bathrooms.